Lovely Bird Parents brooche. 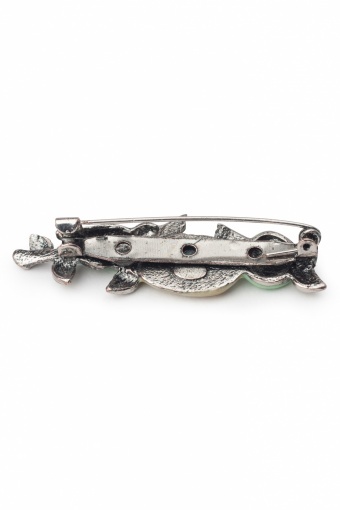 Very cute brooche in silver toned metal. 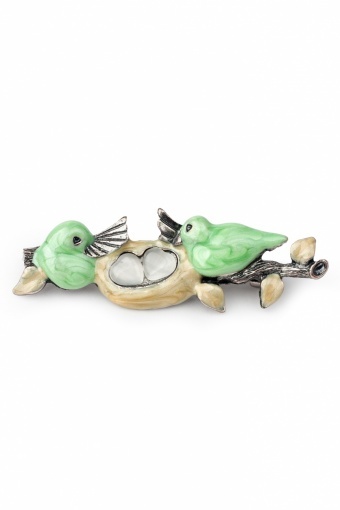 The birds nest and leaves on the branch are enamelled in beige, the birds in pastel green. The nest is decorated with two clear acrylic stones. So sweet!